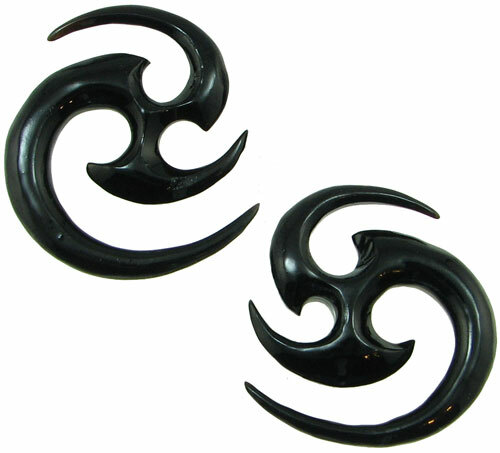 These water buffalo horn Matrix earrings are made with two possible wearings surfaces. The size indicated refers to the larger of the two possible wearing surfaces. Rather than being mass-manufactured, these earrings are made by hand, so some variation (such as color, texture, size, etc.) is present from piece to piece in a pair and also from the pair shown in this photo. Gauge or fractional inch size is measured on the larger of the two possible wearing surfaces. 5 gauge 0 gauge (+$10.00) 7/16 inch (+$10.00) Select your size and click "Add to Cart".